If you are planning a bridal shower, then you are in the right place! We have found 23 bridal shower hacks and ideas. There are ideas for food, games, party favors and more. Any of these will help make the bridal shower an event to remember. We also have some DIY projects for the shower planners that love crafts too. First up we have a beautiful bridal wreath. 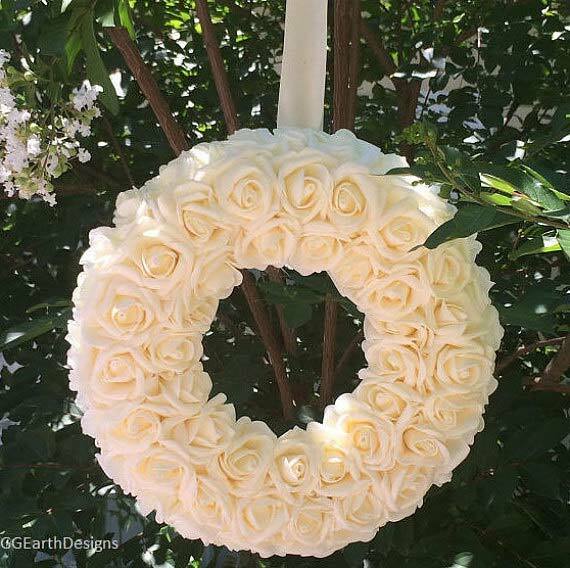 This wreath is handmade with velvet touch roses. You can have them made in a variety of colors on the Etsy shop featured. A wreath like this would be a gorgeous decoration for any bridal shower. Our next idea is these cute temporary tattoos! 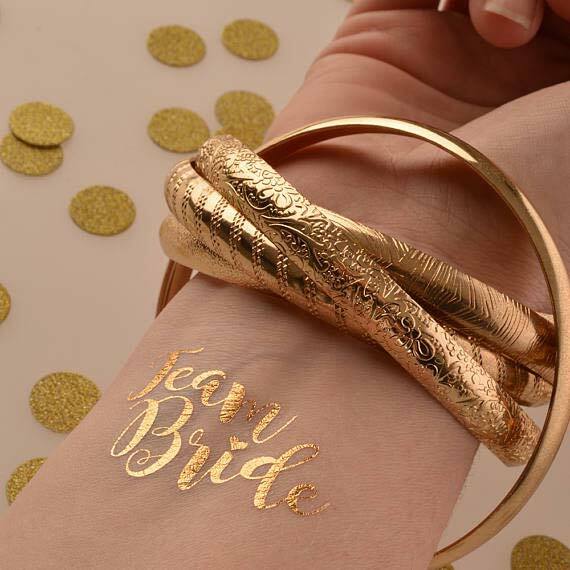 These temp tattoos are in a beautiful gold font and read “team bride”. 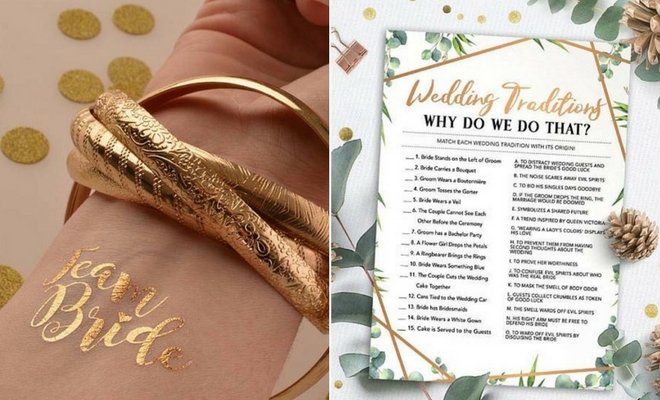 The tattoos would make a fun activity for the shower or you could even give them out as party favors. You can purchase these pretty tattoos from the Etsy shop AllTiedUpUk. If you are looking for games and activities for the shower, then this idea could be for you. Here we have the Date Jar game. You set up a table with a sign like this and a jar. 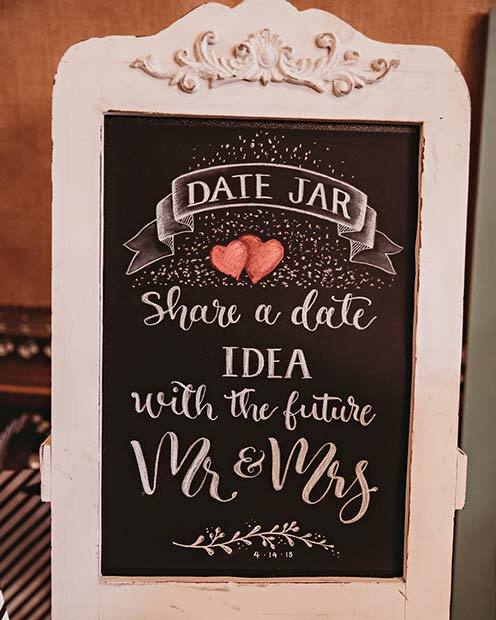 Then guests fill up the jar with date ideas for the couple getting married. This is fun game that you could make yourself. Bridal showers are fun events that need delicious desserts! 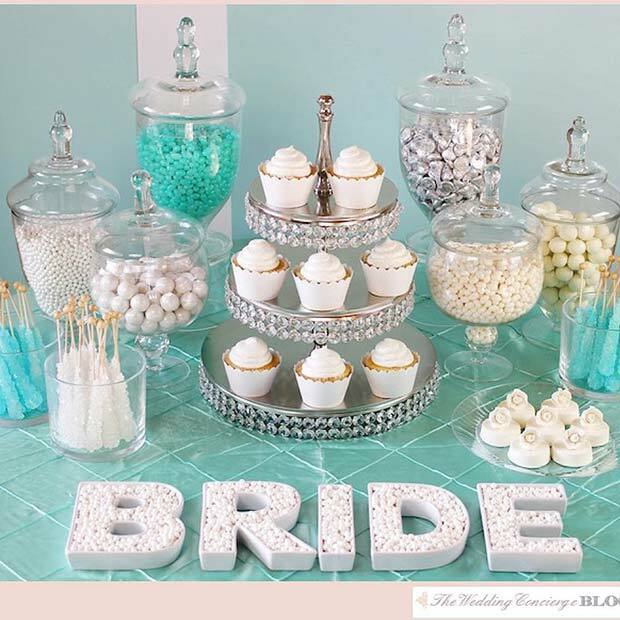 Here is a great idea that features a dessert buffet table. It has glass jars full of treats, cakes and more. You could recreate your buffet table in any color scheme, with any desserts and with any decorations. At the shower you could give out party favors. There are so many small gifts you can give to family and friends. You could choose a personalized lip balm like this one. The lip balms are handmade and feature the persons name and role in the wedding. 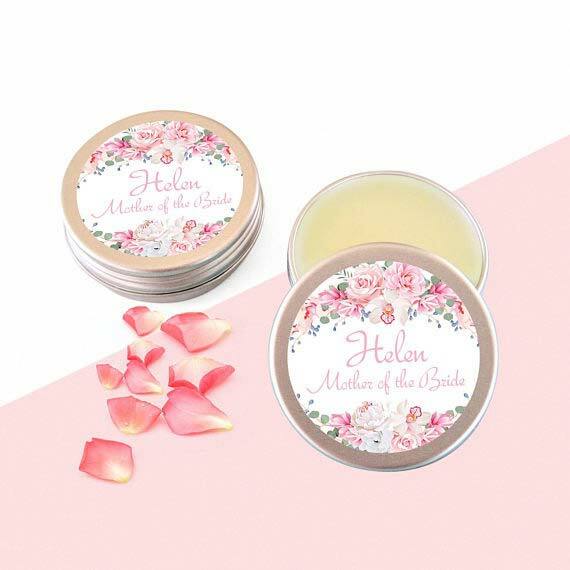 You can get these and other bridal shower lip balms from Etsy shop SheaPlus. Pinatas are popular for parties and events. Not only are these very fun but the people playing can also win prizes and treats. For a bridal shower you can make a wedding theme pinata like this one. It is glamorous and shaped like a wedding cake. If you like crafts, you can have a go at making a similar one yourself. There are tutorials for this online. 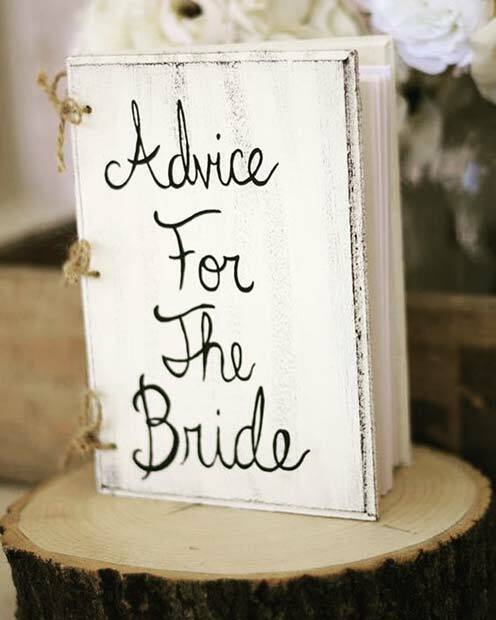 Another fun activity you can have at the bridal shower is advice for the bride. Each guest writes down their own piece of advice and the bride-to-be can read it after the shower. Not only is this a great and easy activity but the bride can keep it as a memory to. You can do this with any plain book and just decorate the front. 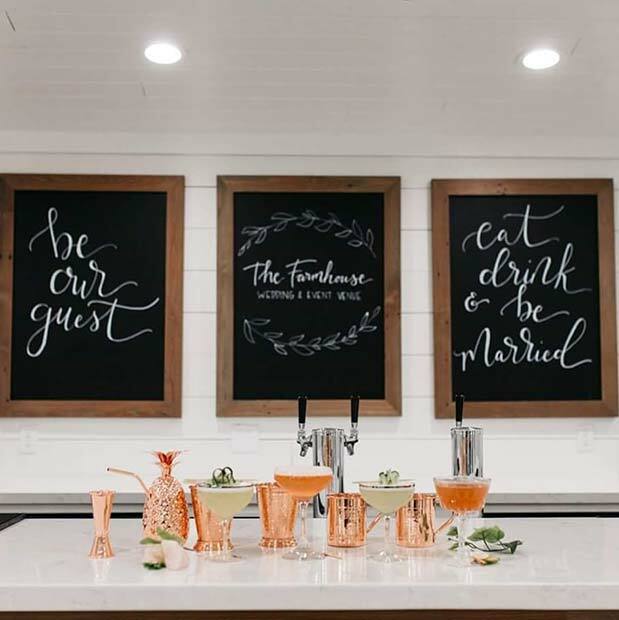 Consider having a bar area at the bridal shower. It will make the shower look extra special and you can serve a mix of drinks both with alcohol and without. You could create a bar like this one. Have cute chalkboards on the wall over a table and have drinks on the table. We love the sign “eat, drink and be married”. If you want a unique bridal shower activity, then this could be what you are looking for. 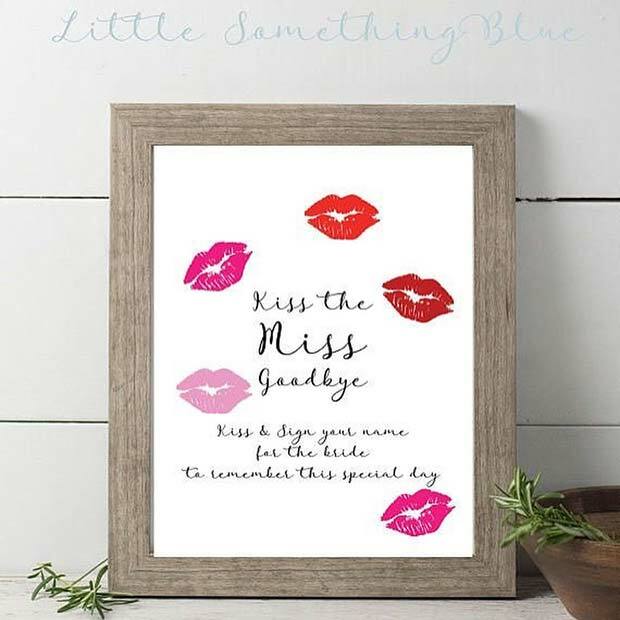 This is a picture with the words “kiss the miss goodbye.” Each guest then kisses the picture and signs their name. It is like a creative and quirky guestbook. The bride can also keep this as a memory to. A popular bridal shower theme is afternoon tea. Afternoon tea showers include pretty decorations, cakes and tea. 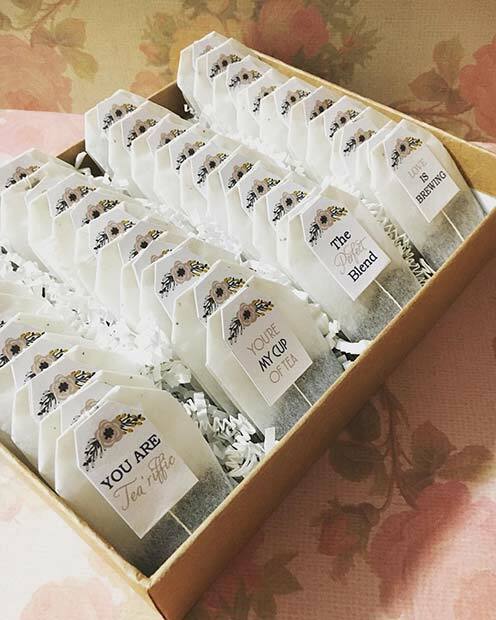 For a shower like this one you could give out cute tea favors like these. Each teabag has a sign like “love is brewing”. We love this unique idea. The picture of the Love Hula Hoop sign is actually my image, not the site you credited. If you can change the credit to the original source, you can keep it up! Otherwise I would like to ask you to remove it. Thanks! Hi Amanda! Thanks for letting us know. We updated the image source.